07 April is annually celebrated as World Health Day. The occasion is a chance to remind world leaders that everyone should be able to access the health care they need. 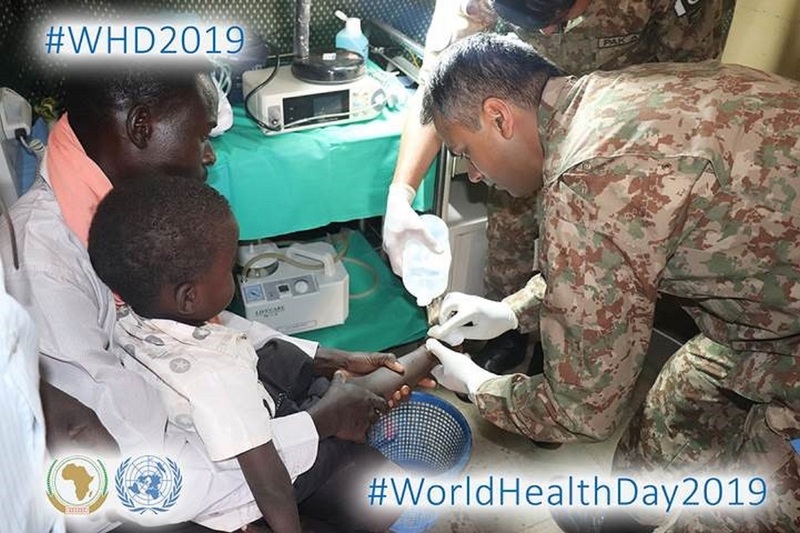 In the picture, UNAMID Pakistani peacekeepers recently conducted a free medical camp for the local population in Kabkabiya town in North Darfur State, where over 2360 patients benefited from the service. UNAMID photo.